Every year at around this time, you might hear a lot about the convening of China’s so-called ‘Two Sessions’ (or Lianghui), that is, the National People’s Congress (NPC) and Chinese People's Political Consultative Conference (CPPCC). 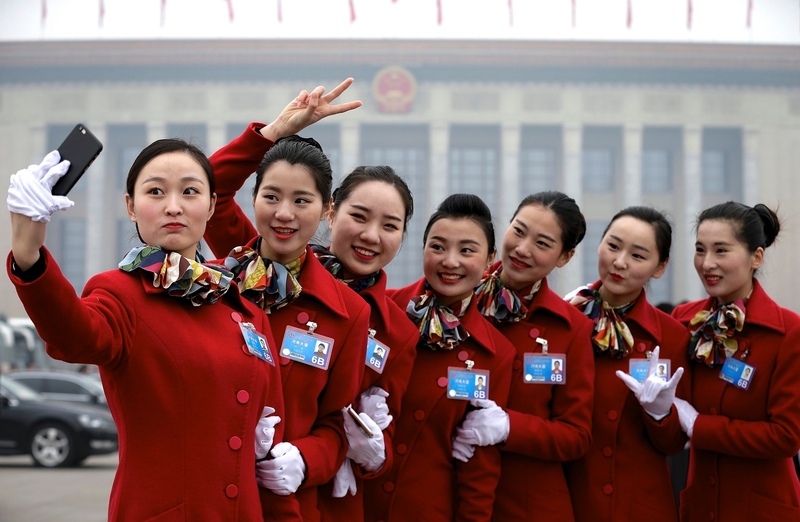 This year, the CPPCC commenced on March 3, while the NPC will begin on March 5. 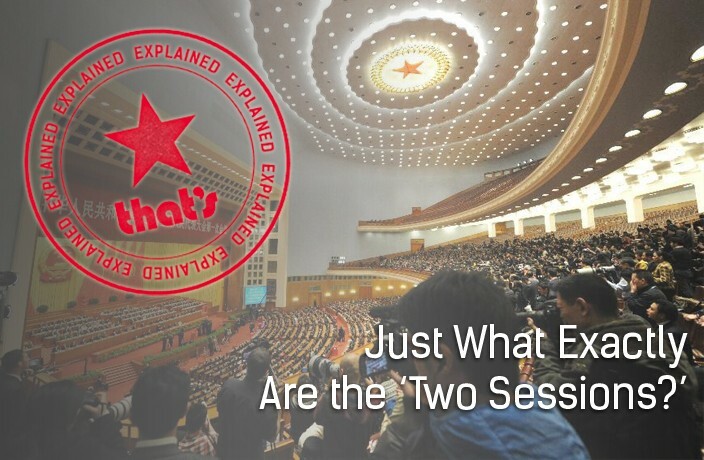 The Two Sessions can be explained as a sort-of equivalent to the US Congress or British Parliament, but that would probably only lead to more confusion due to the blurred line between the Chinese state and the Communist Party. But if you ask an academic, or a regular Chinese person, they’d explain to you that the constitution is, essentially, just... words. In fact, the party is truly in charge, and since almost every civil servant is a party member (there actually are other parties, more on that later), we need to first explain how that works. Well to answer that question, we first need to know who’s the head honcho. The current consensus is that the leader of the PRC is whoever holds these three posts: President (head of state), General Secretary of the Communist Party (head of party) and Chairman of the Central Military Commission (commander-in-chief of the armed forces). Xi Jinping, Hu Jintao and Jiang Zemin all held (or in President Xi’s case hold) these three titles, and such is the way the leadership has been organized for almost three decades. Now, who makes laws? This is complicated, since China doesn’t have a clear-cut rule of law system like most liberal democratic systems. The leader or State Council can issue directives that have the force of law. This is where the NPC comes in, right? But above the CC is the Politburo, the executive branch of the party, with 25 members (the elite of national leadership), and above that is the Standing Committee of the Politburo, with seven members, the creme de la creme, the top decision-makers of the nation. Their decisions, upon endorsement by the CC, go on to be turned into law by the NPC. And they all hold top state positions, with the president/secretary/chairman, the premier, the VP and the chair of the NPC all being members of the Politburo. What Exactly is the NPC? So, back to the NPC. This is a state institution, composed of delegates elected by provincial people’s congresses. ‘Elections?’ You say. But how? Well, yes, there are elections, but they’re not the same across the board. At the lowest level (county and township congresses), representatives are elected directly by the citizenry; but at every level above that, each congress is elected by the ones directly below it, all the way to the NPC. With 2,987 representatives of the popular masses, it is the largest parliamentary body on Earth. It meets for two weeks in March and, essentially, turns the party’s wishes into law. But how, if it elects the state leadership? The president, chair of the Central Military Commission, chief justice, etc. are all elected by the NPC’s delegates, and even the premier, appointed by the president, has to be confirmed by them. The truth is, though, by the time they vote the party has already decided all of these outcomes. Xi, for example, was elected in 2013 with 2,952 votes for, one against and three abstentions. Yet, to be fair, in recent years there has been increasingly more room for policy debate and some form of vitality in this body, but it still exerts little real influence on legislation. Factionalism does exist, but it is confined to the party, in what is called “intra-party democracy.” A notable remnant of Lenin’s democratic centralism, it means that there is a variety of political and economic stances within the party which are confronted in a lively forum of ideas, but that once a decision is made, it must be adhered to and unquestioned by the entire membership. Wait a Minute... China isn’t a One Party State? What the hell? Since when is China not a one-party state? Basically, the United Front is an amalgam of kinda leftist parties that existed prior to 1949 and supported the communist revolution. So they get some mostly meaningless representation in a mostly meaningless institution. So, okay, the NPC is a rubber-stamp and the party really makes the laws, which are implemented by the state. Every level of administration, from provincial government to colleges, has a state and party official (like, the mayor of Shanghai and the Shanghai party secretary), of which the party one is always more powerful. And What About the CPPCC? But then what exactly is the Chinese People's Political Consultative Conference? It’s the NPC’s advisory body, a counterpart supposed to represent civil society. In effect, that means influential businessmen, representatives from the United Front, trade unions, ethnic groups and other organizations, as well as some prominent thinkers (the last emperor of China, Pu Yi, actually came to be part of the CPPCC later in his life). It has no decision-making power, and only exists as an expression of the people’s will and allows the NPC to ‘make decisions’ more inclusive and pluralistic. So Then What’s the Point of the Two Sessions? You might be wondering why a rubber-stamp and an advisory board meeting for a mere two weeks matter at all? Well, to quote TIME, “it’s basically the entire class of China’s political elite convening in Beijing for the next few weeks.” So, it serves as a great window into Chinese politics, as it reveals to us its key players and what their priorities are for the coming year. The Korean Peninsula, pollution, US-China relations and many other topics will be addressed by the leadership, and the premier inaugurates it with a prognostic of the year to come. The Congress also votes to approve the annual budget. So, some things do get done. Mostly though, it means your VPN might not work for a few weeks. This article was originally published in March 2016. It has been updated and republished on March 4, 2019.